We have a child centric curriculum. Children develop their language, motor, social, cognitive and pre writing skills. Reading readiness is emphasised by activities in our curriculum. 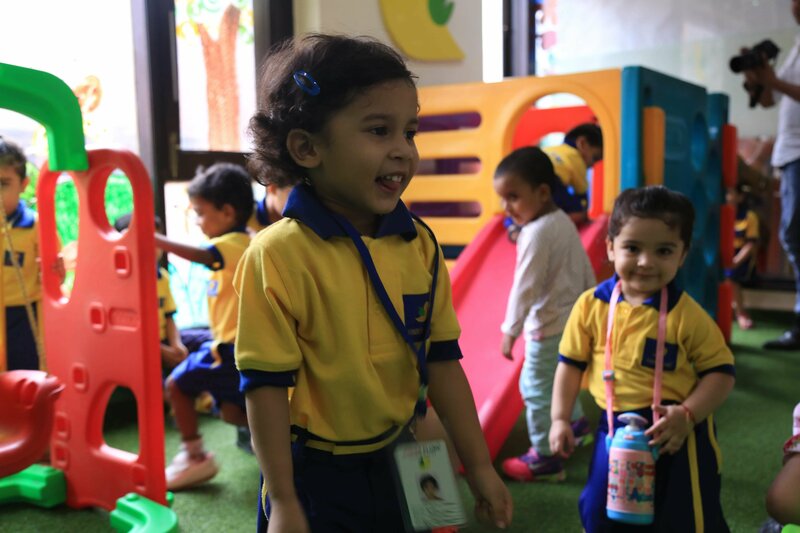 Concepts are introduced keeping all learners in mind and interesting child friendly games are played to make it easy for the children to grasp. Children learn about values and public speaking. Communication skills and Language development are given a lot of importance. Assemblies are held every morning. They are centralized around different themes and include Aerobics, Yoga, Puppet Shows on Good manners/ Culture/Values, Rhyme recitation etc.